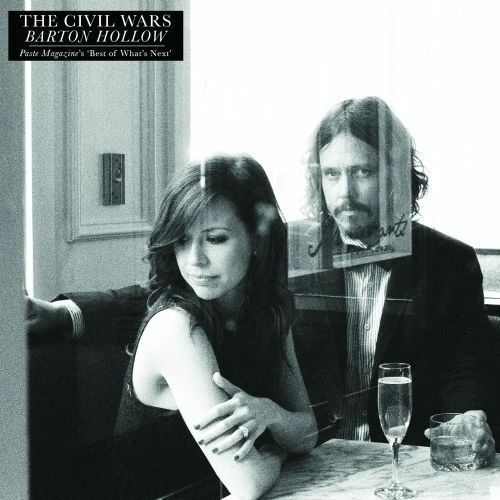 If I were to be shipped to a new universe, and I could take one album with me, it would be Barton Hollow by The Civil Wars. It’s an album which I listen to on a daily basis: early in the morning and right before I go to bed. My favourite song on the album is 20 years. The song is about a love letter, hidden under a doorstep for 20 years. In those 20 years, love is lost; a consequence of the fear of opening up, a fear of being true to others and to oneself. As people, we are often afraid of being vulnerable, of letting our walls down, we do whatever it takes to protect our fragile hearts but instead of protecting them we end up hurting ourselves, and the ones we love. This is what 20 years is about. The Girl With A Red Balloon comes next in the list of my favourites. The girl in the song, seems to have to done this exact mistake of waiting for 20 years – maybe more – without revealing her true feelings. As a result, she ends up with a shadow, a faded memory of what she could have had, a red balloon. She lives her entire life with what could’ve been. I have seen many close friends and family members go through that. Hold back and hesitate because they are uncertain, and then before they know it, they miss their chance and live with red balloons. Poison and Wine is another stand out. This song is a definition of what love is. It touches upon the paradoxical nature of love; a reminder that all beautiful things in life are not found easily. Relationships and friendships are complicated, messy, not easily defined, hard to be in, but even harder to be without. A lot of people can’t deal with the hard aspects, so they quit, leaving behind a pure form of happiness hidden underneath the clutter but those who stay, are those who find the beauty which makes it all worthwhile. So I would take this album with me to this new universe, and try to make everyone listen to it. Maybe that would make the new universe a better place. A place where people wont be afraid to open up, a place where people would rather feel pain than nothing at all. A place where people would jump in and live, instead of staying on the sidewalk, safe but never satisfied. A place where people realise, the harder a challenge is, the more beautiful the outcome will be. And hopefully they’ll find the strength within them to open up, love, maybe hurt, and heal, in other words, hopefully they’ll have the courage to be alive. Jude Sabha is a second year student at Edinburgh University. She studies international relations. She’s a big fan of the Great Gatsby and her dream is to become a high school teacher so if you’re lucky Jude may teach your future children. She also started a blog recently in which she rants about art. Here lies said blog: Arty Whispers. I read this article and found it very interesting, thought it might be something for you. The article is called Barton Hallow – #alternateuniversealbum and is located at http://prancingthroughlife.com/2013/11/08/1140/.